The Texas Chapter of the American Society of Landscape Architects recently awarded Museum Park: Planning for a Model Urban District, Honorable Mention for the Livable Centers Study completed last year. Thanks to SWA, the Museum Park Super Neighborhood, Southeast Management District, the City of Houston, the Houston-Galveston Area Council, and our Museum Park partners in this remarkable achievement. We look forward as the concept designs included in the LCS are implemented. First, I would like to thank you for your ongoing patience as the MFAH moves ahead with the expansion and transformation of our main campus through the addition of three new buildings, underground parking garages and a new public plaza. I am writing with an update and information about the next step in this process: a shift in parking locations and procedures. Beginning next, Monday, May 22, the newly constructed Montrose Parking Garage opens to the public. On this same day, the outdoor South Lot, across Bissonnet from the Law Building, permanently closes to allow excavation and construction to begin on the Nancy and Rich Kinder Building, scheduled to open in late 2019. As a result, on-campus parking for the MFAH and the Glassell School of Art shifts to garage-only paid parking at the Museum’s two garages: the existing Fannin Parking Garage on Binz Street, and the new Montrose Parking Garage on Montrose Street. For details about rates, hours, procedures, and limited-mobility access for both the Fannin and Montrose garages, visit mfah.org/parking to see the latest information. If you have questions about parking, or if you need any help understanding the new procedures, please contact Andrew Spies, who has been designated as the parking manager at 713-639-7821. 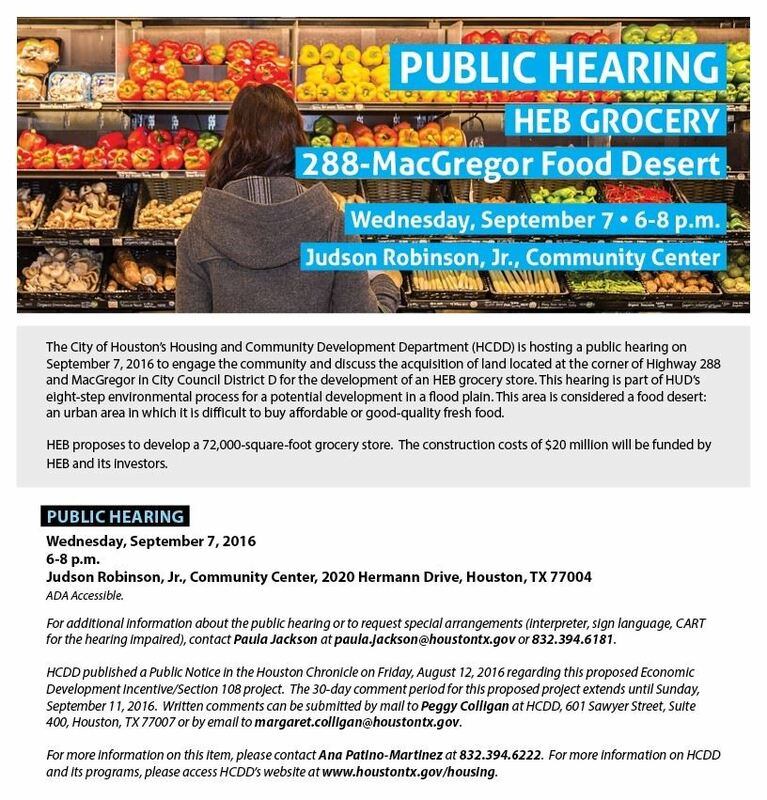 If you have any questions or concerns about the expansion project, please call 713-830-5280. Journey around the world by exploring six museums filled with history, heritage and humanity, then come back later to see contemporary art works at 2 additional Zone 2 locations. 10am-6pm Enjoy FREE gallery admission to Asia Society Texas Center's Modern Twist: Contemporary Japanese Bamboo Art and explode the notion of what a basket can be. Stay for an Asian-inspired lunch in the Jade Café. 11am-4pm Step into America’s only museum that chronicles the African American military experience from the Revolutionary War to present. The Buffalo Soldiers Museum will catch the interest of all ages and provide you with a personal insight into the Buffalo Soldiers contribution to history. Experience live, historical re-enactments at 11 am, 12 pm, 1 pm and 2 pm. Bring the entire family to experience this captivating and engaging history! $5 admission, $3 for students with ID. 10am-4pm Paint! Learn the traditional craft of egg painting at Czech Center Houston and hear children’s stories from the Czech Republic (the first animated children’s book was published there). Take advantage of a 10% discount in the Prague International Shop. Admission: $5 for adults and $3 for children 10 and under. 10am-5pm At Holocaust Museum Houston, interact with the artificial-intelligence avatar of Holocaust survivor Pinchas Gunter, and receive real-time responses to your questions from this hologram in the Celebration of Survival exhibit by Barbara Himes. At 12:30pm, 1:30pm, 2:30pm, and 3:30pm enjoy guided tours of the core exhibition, WWII rail car and Danish fishing boat. Also on view, Bittersweet Harvest: The Bracero Program, 1942-1964, a Spanish/English bilingual exhibit about the largest guest labor program in U.S. history. Adults $12, Seniors $8, Members and students with ID Free. #StandWithHope. Join us for a final public meeting as the Conservancy unveils its strategic plans for the next 20 years of Park improvements. Since October 2015, Hermann Park’s master plan team including landscape architects Michael Van Valkenburgh Associates (MVVA), mobility and transportation consultants Nelson\Nygaard, and Sherwood Design Engineers have studied Hermann Park, analyzed data, meet with community members, and gathered public feedback to develop preliminary concepts to envision the next 20 years of improvements and projects to Hermann Park. Join us for our final public meeting where we’ll share the team’s full recommendations for Hermann Park’s master plan, which will guide the next 20 year's of Park improvement projects. Can’t make our open house but still want your thoughts and ideas heard? Send us an email at ideas@hermannpark.org. To learn more about our master plan update project, click here. The Houston Arts Alliance and the City of Houston Parks & Recreation Department invite you to come out this Saturday, March 11, to help plan a major NEA-funded arts project in Hermann Park! The meeting will take place at the Holocaust Museum, in the Avrohm Wisenberg Classroom, from 10:30am-noon. As you know, Mayor Turner released the City’s plan to further address homelessness in Houston, The Way Home. As you also know, in our ongoing work on the homeless issue, we recently visited personally with each At-Large Council Member and the Mayor Pro Tem to ensure that they will support the imminent No Camping ordinance. We’ve sent follow-up notes to each At-Large Council Member and to the Mayor’s Office, including his Chief of Staff, Marc Eichenbaum, and Sean Quitzau, and of course to CM Boykins and his staff, thanking them for their ongoing efforts on this issue. CM Boykins, and the City, are committed to eliminating camping on public property. To confirm support, we’ll follow up again with each At-Large Council Member after they’ve had a chance to review the Draft Ordinance. To date, support from Council is unanimous for the Mayor’s actions. We’ll continue to follow up with the Mayor, his office, and the Office of Homeless Initiatives on this issue. We expect the ordinance to be voted on after spring break, with enforcement starting after a 30 –day grace period, around the end of April. At that time, people will no longer be allowed to camp and will have the opportunity to move to transitional, managed, low level, capped-number shelters on private property or to locations suggested by District Council Members. Mayor Turner specifically said that he had heard the pleas of those living near the US-59 encampment and their concerns must be answered. Thank you to the Quality of Life and Safety and Security Committee members for their input on this strategy. Please contact president@museumparkna.org if you have any thoughts or concerns. The Way Home. The Mayor's Office on the Homeless Initiative will aggressively seek additional housing over the next six months. As part of that effort, Star of Hope will be opening a 215 bed facility off Reed Road for women and children. The city is also pursuing opening one or more covered outdoor spaces where up to 75 individuals can stay temporarily. When individuals are told they can no longer stay in one place, they will be offered another place to go to. The Mayor will introduce a new ordinance (prohibiting camping on public property) to city council with the goal of voting on the ordinance in the week after spring break. Enforcement will begin 30 days after passage of the ordinance. The city will develop parking and economic development spaces where encampments are currently located. Panhandling will be addressed through a Public Service Announcement Campaign (funded by the management districts-thank you HouSE and Midtown). Campaign slogan-"Meaningful Change--Not Spare Change." The city also will implement a pilot program to send vans out to common panhandling sites to connect panhandlers to the Texas Workforce Commission in order to bring these individuals to a workplace. The city will continue to collaborate with charitable organizations who feed the hungry to ensure these organizations are working in tandem with social service organizations that offer additional services. Feeding alone does not work. Mental Health and Substance Abuse issues require increased funding. The city's governmental team will continue to work at the state and federal level to secure additional funding for those dealing with these issues. The city is working with Harris County to develop more resources to address mental health and substance abuse including additional detox facilities. The Museum Park Super Neighborhood (along with MPNA as a stakeholder) has interacted with the City of Houston and other agencies to address the issue of homelessness. Below is a summary of MPSN meeting interactions with city representatives as well as a highlight of city initiatives during the previous six months. MPSN, June 8 – Topic of homelessness and associated issues were discussed at the meeting. MPSN, July 13 - Mayor’s Office of Homeless Initiatives, City of Houston representatives, HPD, METRO, TXDoT, and others working on these issues attended the MPSN meeting, listened to concerns, updated the Council, and described the initial strategy. MPSN, August 10 – Mayor’s Office for Homeless Initiatives and other CoH representatives attended MPSN meeting, listened to concerns, and updated Council on strategy, clean- up efforts, collaboration between TXDoT, City Of Houston, etc. MPSN, September 14 - Council continued discussion of ways to address homeless encampment under US59 listening to business owner report the impact of the issue on small businesses along Main Street. MPSN, November 9 - Mayor’s Office for Homeless Initiatives and other CoH representatives working on these issues attended meeting, listened to concerns and updated Council on December approach. Early December – Mayor’s team visited San Antonio to understand the approach to homeless issues used at the Haven for Hope. December 8 - Mayor’s Office held organizational meeting led by the Mayor's Office for Homeless Initiatives, in conjunction with CM Boykins and over 40 professionals from 11 different support agencies, HPD, METRO, etc. December 12 - an integrated outreach to the homeless population in the vicinity of San Jacinto and Wheeler Avenue areas was conducted to gather data and assess needs of those living there, to determine what they need to get into housing and stay. 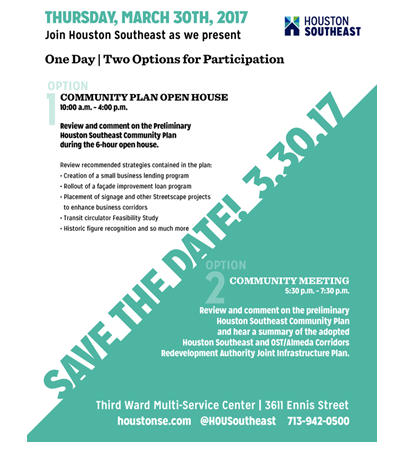 Mental health and substance abuse, primary health, housing, employment, an array of services and resources are being delivered as part of a strategic six-week outreach plan to assess and help individuals get off the streets, while reducing litter and improving the quality of life for all Houstonians. These data are currently being assessed and used to update the strategy to address the issues surrounding homelessness, using data-driven and deliberately crafted long-term, sustainable solutions rather than moving the problem around, something which happens with fencing, etc. December 20 - Mayor's Homeless team including governmental and non-profit providers and social services discussed data collected during December 12 outreach effort and associated metrics to design next steps. Strategy update reflecting resulting analysis and defining ongoing and future steps will be publicized by the Mayor's Office later in January.